Several Open Defecation Free (ODF) communities in Margibi County have not experienced an outbreak of the deadly Ebola virus disease. A total of nine communities were over the past two years declared ODF in Margibi, three in 2013 and six in 2014, prior to the Ebola outbreak in Liberia. They were triggered by Living Water International (LWI-Liberia) as part of the Community Led Total Sanitation (CLTS) Initiative and later validated by a team from the Ministries of Health & Social Welfare, Education, Agriculture, Public Works, and the WASH Reporters & Editors Network of Liberia. 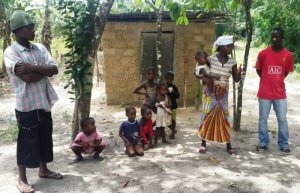 The communities are still doing everything possible to maintain their ODF status and remain healthy, according to a 2-day Fact Finding Assessment by the Water, Sanitation and Hygiene Reporters & Editors Network of Liberia (WASH R&E). The asssessment, which was part of the observance of World Water Day (March 22) 2015, was intended to verify that communities declared Open Defecation Free (ODF) through Community Led Total Sanitation (CLTS) did not experience any case of the Ebola outbreak, despite other surrounding communities in Marbibi county that experienced worst cases. Margibi is amongst several counties in Liberia hard hit by the Ebola virus, leaving some communities falling prey to the deadly disease.